Gamuda Land has recently introduced its high-end Diamond Brilliant apartments, in the west of Ho Chi Minh City. The project is specifically designed for high-income earners with a trendy lifestyle. Ho Chi Minh City’s property market has a number of luxury projects, but actually finding a truly high-end home with green surroundings is not an easy task, especially when considering those that offer the best in security and privacy, which are top priorities for the elite. With a limited land fund, it can be difficult to find an ideal residence in the central area. But just outside the city center is Tan Phu district, where Diamond Brilliant is located within the Celadon City eco urban township. Residents can enjoy a luxurious lifestyle in a comfortable but also cozy and friendly atmosphere in a fresh and open space. Customers will easily recognize the outstanding advantages Diamond Brilliant possesses: absolute privacy and low population density in a select community. 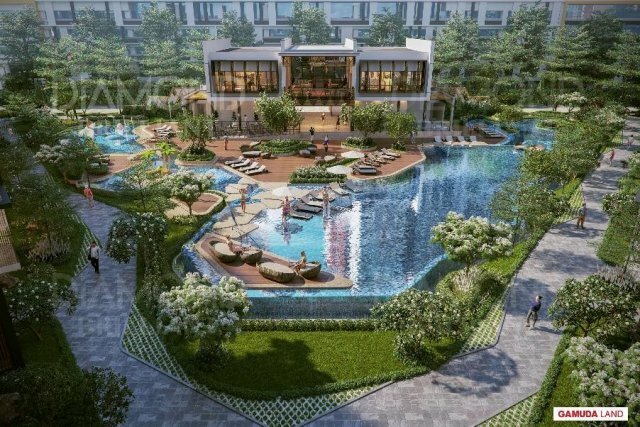 Gamuda Land has decided to set aside a large area for green landscapes and internal amenities, which strictly follow criteria in living density, on average of up to 18 sq m per person. Diamond Brilliant creates a relaxing space with aesthetically-pleasing landscapes interwoven with state-of-the-art zones for leisure and entertainment. Residents of all ages and interests can find privacy in the common living space. 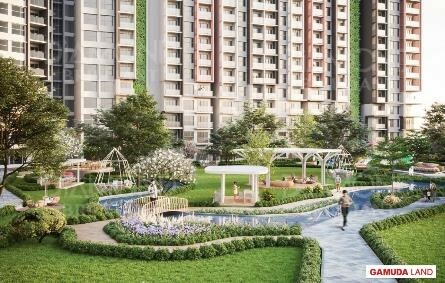 It’s low density and limited number of apartments put Diamond Brilliant in the “bluechip” price segment compared to Diamond Alnata, launched in the middle of this year. Moreover, the traffic network in and around Diamond Brilliant is fully planned to ensure the highest level of safety. All motorized vehicles head straight down into the basements from the main gate, keeping the outdoor atmosphere completely peaceful and free from noise and dust. In line with a perfect living space, choosing a premium price segment is how the developer shapes an elite community. Owners at Diamond Brilliant will enjoy a number of opportunities to make friends with people at the same social level and participate in exciting community activities in a multicultural space.